Anyone who casts an eye over the long-form dramas premiering at this year’s Berlin Intl. Film Festival can find many series that are ripe for picking by new territories — as well as plenty that have already been pounced on by in-the-know buyers. Since it launched five years ago, the Berlinale Series program has become a launch pad for European scripted shows. 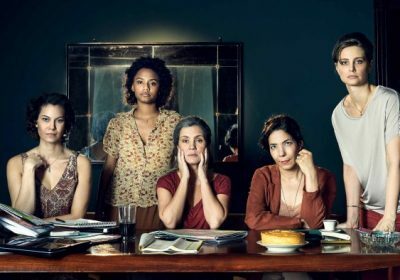 Meanwhile, its Drama Series Days, with Market Screenings framing such series as “Harassment” (pictured) this year, has grown as a financing and acquisitions event at the European Film Market. For their part, producers and distributors say they like launching series at a festival such as Berlin. It lends a certain cachet and prestige to a show, says Tom Coan, the executive producer of “Hanna,” an eight-part remake of the 2011 Joe Wright film, which premieres in the Berlinale Series. On the flip side, the Berlinale has actively sought to align itself with the growing ambition and spending power of TV drama in Europe. Each of them, though, neatly reflects how European drama has become more ambitious in scale and storytelling — as if determined to catch the eye of the international market. “Hanna,” in particular, is one of a new breed of globally focused, European-made and SVOD-financed dramas — and stars young British actress Esme Creed-Miles in what’s said to be a break-out role. Hanna is written by David Farr, who also co-wrote the original film. “Film is more of a medium of directors than writers, and David had a vision for it that didn’t make it onto the screen,” says Coan. He adds that the TV series allowed him to build out the characters. A reimagining of one of Germany’s most famous films, about a series of child murders, “M” is bound to make waves at the Berlinale — even though the setting has transferred from Berlin to Vienna. Sky Deutschland’s “8 Days,” meanwhile, has sold in 30 markets, including the U.K. and CIS, according to Jason Simms, director of drama at distributor Sky Vision. HBO pre-bought the series for the Nordics and Central Europe, and Sky Vision is in discussions with potential U.S. partners. Ostensibly, “8 Days” is about how society falls to pieces before a deadly meteor strike. But the producer, NeueSuper, tells human, intimate stories against a backdrop of anarchy, Simms says. In a similar vein, Keshet Media Group’s thriller “False Flag 2” is about ordinary families caught up in extraordinary events — in this case an attack on an Israeli-Turkish oil pipeline. “It’s about regular people involved in something bigger than them,” says Karni Ziv, Keshet head of drama and comedy. Another intriguing drama to premiere is Arte’s “Il Etait Une Seconde Fois,” directed by Guillaume Nicloux, about a man who can travel back in time. Jean-Michel Ciszewski, head of sales at distributor Federation Entertainment, compares it to a film split into four parts. “Its unique point of view coupled with the playing with time and exceptional actors makes this series stand out,” he says. As such it’s at the more arthouse end of the Berlinale Series program. That said, Azizi believes the festival’s mix of crowd-pleasers and cinematic stories should all find international buyers. “With the changing series landscape and the way audiences are watching these days, it’s safe to say that they all have a chance at travelling outside their home territories,” she says.